Also, since I work from home, I’ve become a day-long “grazer.” But much of my normal regimen, even though healthy, doesn’t fit well with the program. Enter Jalapeño Hummus and veggies. (Believe me, I’ll be adding pita chips back in when this thing is over!). My friend Kasey – a true Greek that makes some pretty divine hummus – confessed to changing up the purist’s version of the recipe to include cannellini beans. So I did that here. And my friend Mim sent me her favorite version, from True Food. This recipe combines the best of both. You can tweak the jalapeño flavor to your liking (I like more). I listed the oil as “optional” and left it out for this batch – but just like the pita chips, will probably add it back in after my challenge. I don’t think you’ll miss it – though it would make for a slightly smoother hummus. Hummus typically doesn’t have much “curb appeal,” so have fun with the garnishes. 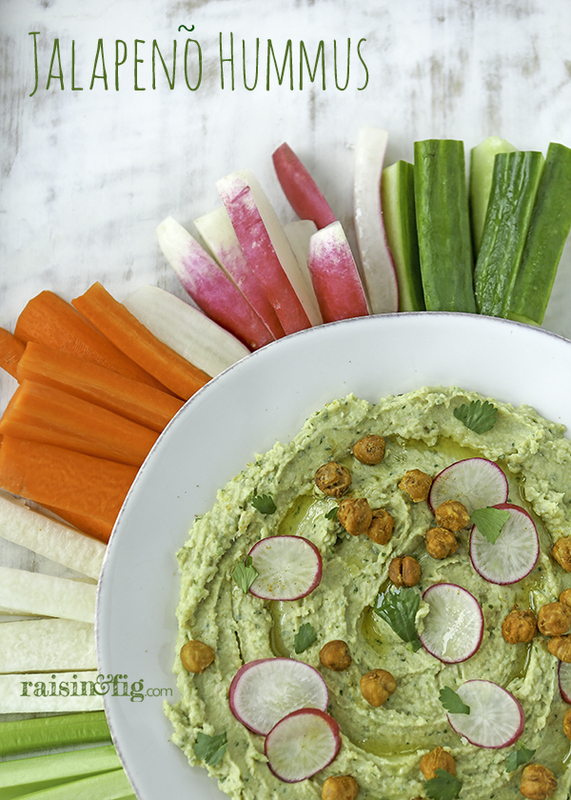 A few sliced radishes, some cilantro or diced jalapeño, and my current favorite – roasted chickpeas, add a little glamour to an otherwise “wallflower” of a snack. Speaking of cilantro, while I use it quite a bit, more than a few bunches have gone bad before I’ve had a chance to use them. And nobody likes wilted herbs. This tip from Bon Appétit really works! Quick Tip! Arrange a layer of dry paper towels in the bottom of a lidded container. Trim, wash and thoroughly dry your herbs. Remove any wilted or discolored leaves. 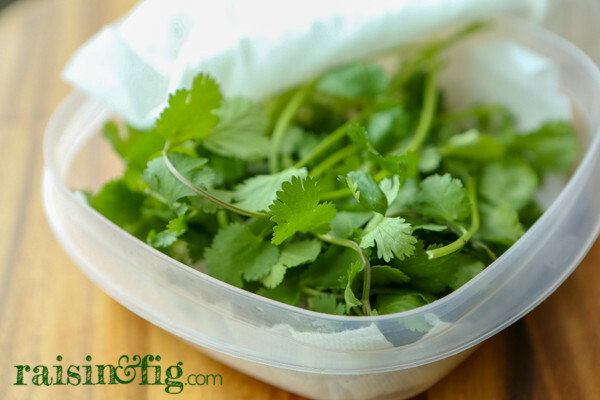 Weet a sheet of paper towel and wring it out completely, then drape it over herbs. Seal, then refrigerate. The recipe makes 4 cups – which is quite a bit. The good news is that the experts on the world-wide-web say hummus freezes well. At this point I wouldn’t know because mine is disappearing fast. 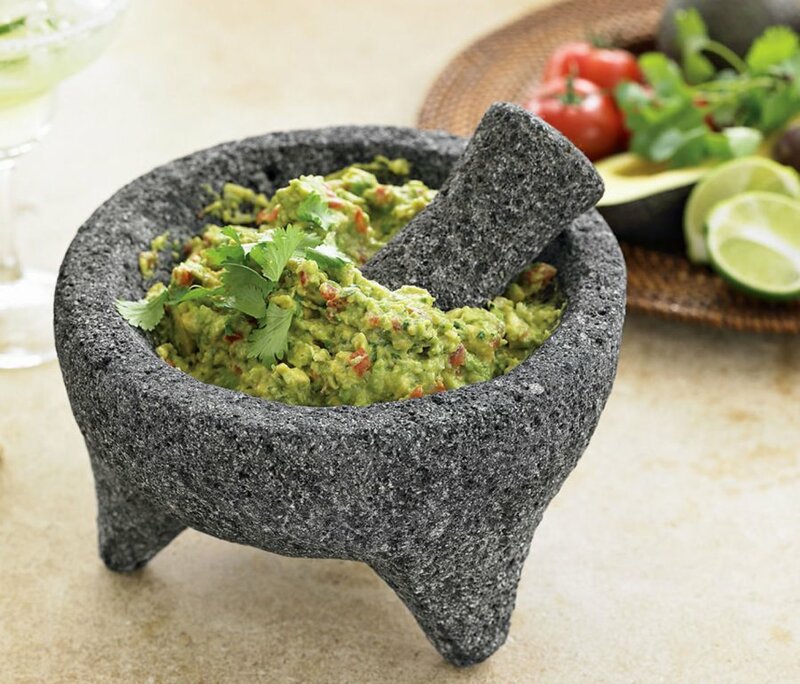 Place beans and all ingredients through salt in food processor and blend until smooth. If using oil, add it slowly and blend until smooth. Transfer to serving dish and garnish. Some hummus fans wouldn't think of making this without the oil. In an attempt to cut back a bit on fat and calories, I don't add it, except to garnish. This recipe makes 4 cups, and it freezes well. Even if your idea of serving hummus involves picking up a container of your favorite flavor at the grocery store, maybe this will encourage you to up your garnish game. But if you want a quick, easy recipe that tastes so much better than store-bought, get out the food processor and plop in the ingredients here. By the way, I just ran across a recipe for Hummus Crusted Chicken, which I’ll definitely be trying. If it makes the cut, I’ll share it here.